Gain the skills to drive smarter investment decisions with the Certificate in Investment Performance Measurement (CIPM®) Program. The CIPM Program develops your skills in effective investment performance and risk evaluation, manager selection, and investment reporting. 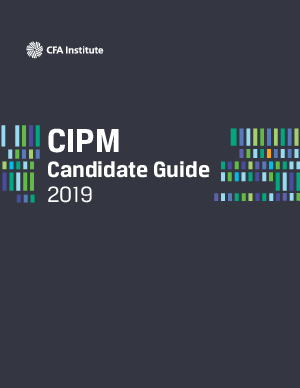 Fill out this form to receive more information about the CIPM Program and download the CIPM Candidate Guide.